The Rose MultiStation MLK-2U is a KVM sharing unit which connects up to 2 KVM switches to 1 CPU and allows for 2 users. 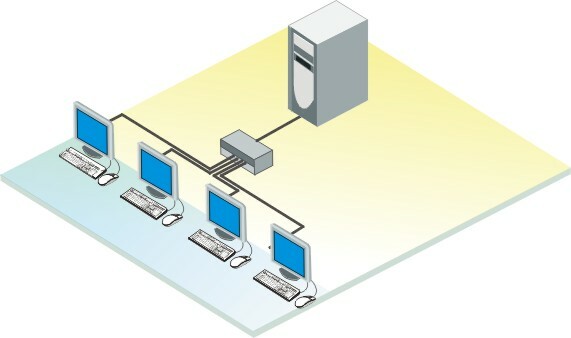 When you need to access one computer from multiple locations, this KVM sharing unit is the product for you. The MultiStation MLK-2U allows multiple users each with a keyboard, video, and mouse to access a single computer on a first come, first serve basis. All connected keyboards, videos and mice will act exactly as if they were connected directly to your computer. The Rose MLK-2U sharing feature doesn't require any keyboard commands to use. The unit also splits the video signal allowing the same screen to be displayed on all monitors.